Firefox users more likely to rock climb! Techcrunch is reporting on an interesting video released by Mozilla about Firefox. 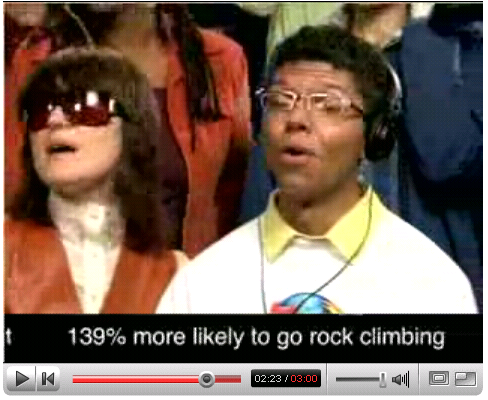 Apparently Firefox users are 139% more likely to be rock climbers. Well I’m a rock climber and I use Firefox. Mmm, must be true as its on the internet! View the video direct on YouTube. Also, in a similar vein, Firefox users are apparently 13% more likely to have purchased Classic Rock in the last 3 months.